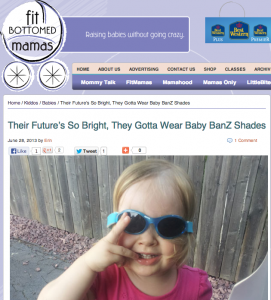 Baby Banz featured on Fit Bottomed Mamas! Congratulations to our Client, Baby Banz,Â for their recent feature on Fit Bottomed Mamas! Retro Banz are Baby Banz’s stylish new style to keep your little ones looking fabulous and protected! The Baby Banz Inc. journey began in 2001 in Australia, one of the harshest UV climates in the world. 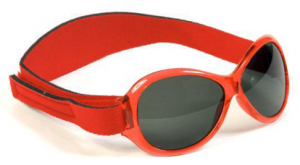 One Australian’s search for a proper pair of ‘sunnies’ for his infant son, forced him to take action, leading to the inevitable development of the now popular Baby Banz sunglasses. Check them out atÂ www.banzworld.com!